Your status as an alumnus or alumna of Northern Illinois University entitles you to great benefits from the university, the NIU Alumni Association and our corporate partners. 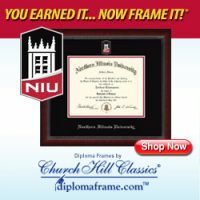 Put your hard work on display in a beautiful custom NIU-themed diploma frame from Church Hill Classics. A frame makes a great graduation gift! NIU alumni could be eligible for a special discount on GEICO auto insurance. Find out how much you could save with GEICO today! Visit geico.com/alum/niu, call 1-800-368-2734 or stop by a local GEICO office for your free no-obligation rate quote. Remember that each quote helps support the NIU Alumni Association’s programs and events. In addition to auto insurance, GEICO can help insure your motorcycle and help you with homeowners, renters, condo, boat insurance and more. Guaranteed Rate is one of the 10 largest home loan lenders in the U.S. with offices in all 50 states. Their attentive, knowledgeable Home Purchase Experts® are ready to serve NIU alumni in person, online or by phone. With turnaround times as little as two weeks, customized loan products to fit almost every need and a 96 percent customer satisfaction rating, Guaranteed Rate has helped homeowners with funding for nearly $12.4 billion in loans in 2014 alone. They’ve also revolutionized the mortgage industry with the world’s first digital mortgage. Cardinal & Black and Legacy level members can get an exclusive discounted subscription – up to 66 percent off – to Crain’s Chicago Business, the preeminent business magazine for the Chicagoland area. See which industries are growing, which companies are hiring and how you can stay a cut above the competition. With a Crain’s Chicago Business subscription, you will be the first to know about big-business deals, learn where the competition is going, find out which companies are hiring and get insider knowledge to advance your career. Card-carrying members of the NIU Alumni Association can receive up to 50 percent off at hotels and up to 25 percent car rentals through companies like Hertz, Avis and Alamo. Apply for your NIU Alumni Visa card from First National Bank and start earning great rewards while showing support for your Huskies! The Northern Illinois University Alumni Insurance Program is a convenient source for health, life and travel insurance for alumni and their family members. Get more information on these insurance plans by visiting www.alumniinsuranceprogram.com/niu or call American Insurance Administrators at 800-922-1245 weekdays, 8 am – 6 pm, Eastern Time. You could get preferred rates and terms on personal loans and business loan financing through 360 Financial. 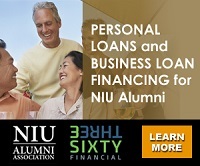 With every loan financed, 360 Financial makes a donation back to the NIU Alumni Association. Credible offers NIU alumni and their families the easiest way to save thousands on their student debt. With Credible, you fill out a simple form and receive personalized refinancing offers from multiple lenders. The average user who refinances saves more than $18,000. NIU alumni receive discounts when enrolling in continuing professional education courses. NIU Continuing Professional Education offers workshops, certification and certification-prep courses in human resources, facilities management, engineering, project management, finance and accounting. Classes are taught online and at locations around northern Illinois. Find your new career using Huskies Get Hired, NIU’s web-based job referral system. The job site allows you to customize your profile, search job postings and create search agents targeting specific industries. 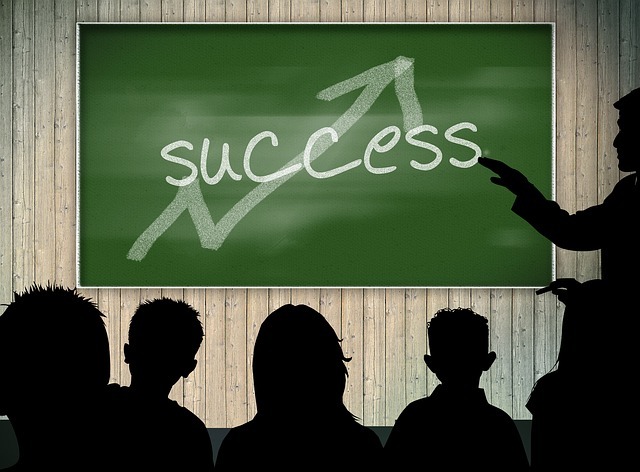 Career Vision brings you and your family the finest in career assessment and planning services. Make a career change with confidence or help your high school or college-age children identify majors and careers. Ace Worldwide Moving & Storage is giving special rates to NIU alumni, no matter where they are moving. Leave your mark on NIU’s campus by purchasing an inscribed brick. Your remembrance of a loved one, message to someone special or commemoration of a special occasion will be installed at the Barsema Alumni and Visitors Center. Now featuring the new NIU Huskie logo, NIU license plates are a fantastic way to support your alma mater while showing off your Northern pride. Book Your Vacation to Orlando Today! Save Up To 35% On Your Orlando Vacation! Orlando Employee Discounts offers Exclusive Pricing on Hotels & Vacation Homes in or nearby Disney World and Universal Studios Orlando! We are also the Largest Wholesaler of Tickets for Disney World, Universal Studios Orlando, Sea World, and ALL Orlando Area Theme Parks and Attractions! 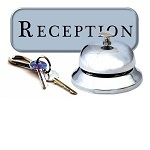 Welcome to the Members-Only Page!